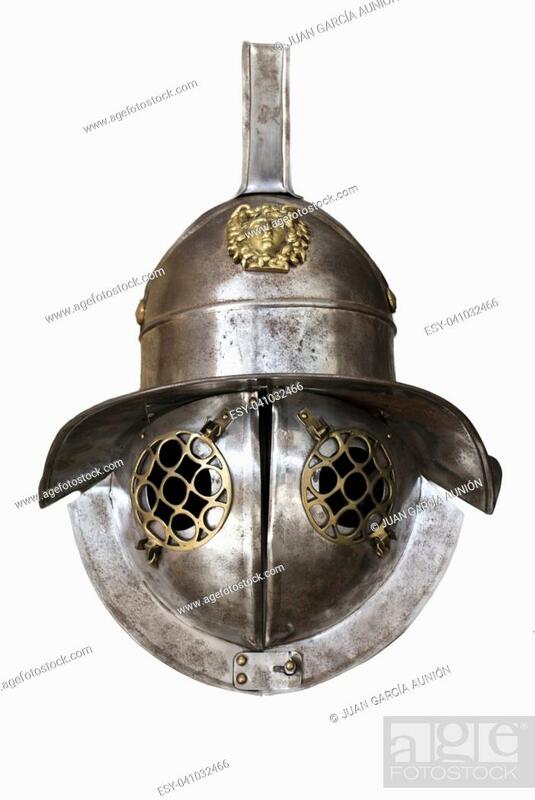 Foto de stock - Murmillo helmet. Ancient roman gladiator reconstruction. Isolated over white background.